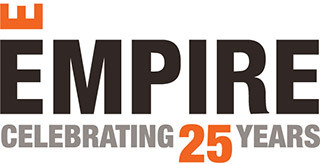 Sustainable construction and energy efficiency have long been part of our culture at Empire Communities. Having aligned ourselves with EnergySTAR® early on, we have been building energy efficient homes above building code requirements for well over a decade, translating to better-built homes for our homeowners. A challenge that comes with this commitment is finding new ways to continuously raise the bar as code changes and efficiency standards are elevated. To stay innovative and ahead of the sustainability curve, Empire has piloted our energy-saving technologies and building solutions into experiments that will influence how we build the homes of the future. We’re proud to introduce the Empire Discovery Home at our Riverland community in Breslau, Ontario designed with some of the most energy-saving and environmentally conscious innovations being tested today. The construction process was not only an exercise in sustainability, but an experiment in research and development that will impact how we will approach the future of homebuilding. Two of the five model homes have been built to current EnergySTAR® standards, while two others have been built to meet what we believe will be the future of EnergySTAR®, ensuring we maintain a higher standard of energy efficiency compared to building code. To remain EnergySTAR® certified, Empire will have to build to this new standard in the future. We’ll be keeping you posted on the progress as we dive deeper into some of the efficiency innovations we’re exploring, so stay tuned for the next installment in our Discovery Home series.